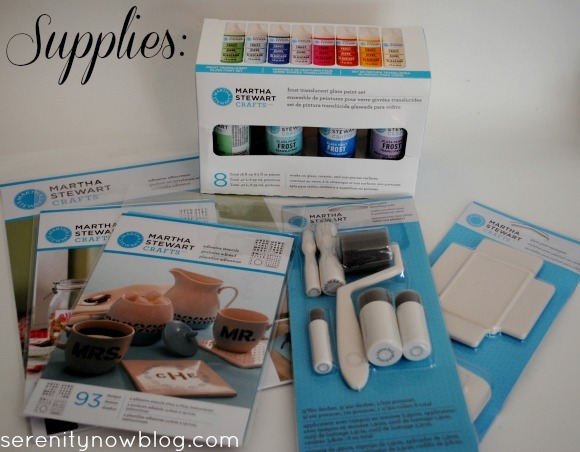 Last month, I shared a little haul video featuring some crafty tools I received from the new Martha Stewart Glass Paint line from Plaid. 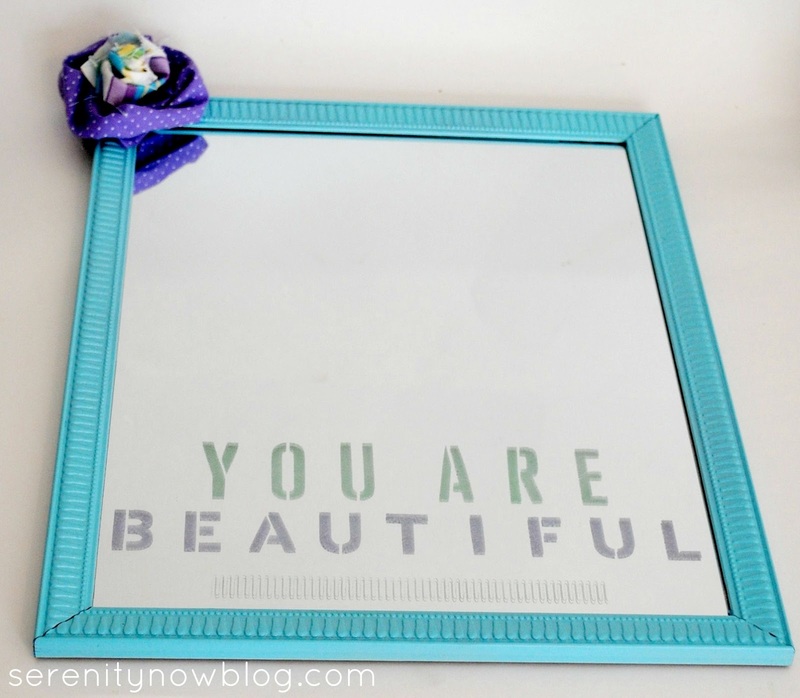 I've been playing with paint and stencils, and today I'm going to show you how I made a Stenciled Message Mirror for my daughters. More on why I made this project and used this message another day. Today's all about crafty fun! You don't need a bunch of supplies to make this project, and it was so simple and fun to put together! 1. Carefully tape off and cover the mirror completely. I used painter's tape for the edges and newspaper for the center. 2. 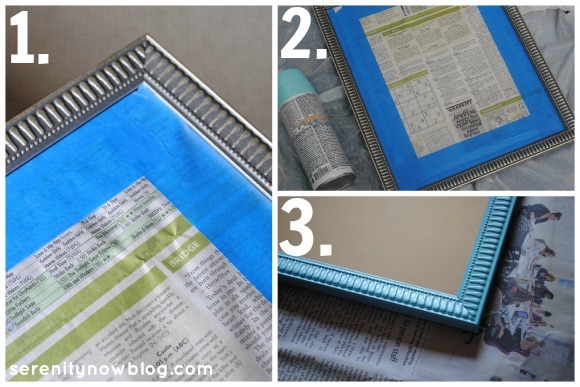 Give your frame a coat or two of your favorite shade of spray paint. I chose a pretty blue. 3. Allow frame to dry completely and remove tape/paper. Clean your mirror with glass cleaner, allow it to dry, and then clean again with some rubbing alcohol to prep your surface. When it came to working with my stencils and silkscreen, I chose to work from the bottom up. 4. 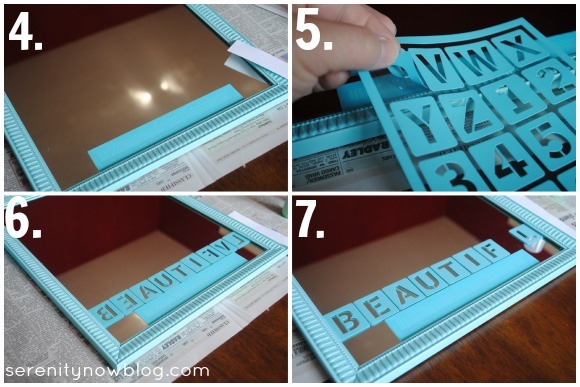 Remove the backing from the silkscreen and place at the bottom of the mirror. I lined the edge up with the frame to minimize paint leaking onto the mirror. 5. 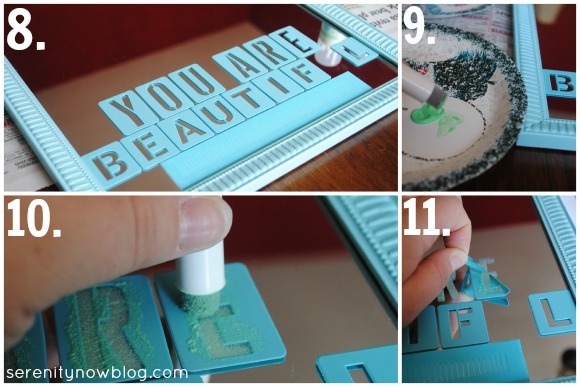 Peel each letter stencil off individually. 6. The adhesive is pretty sticky, so I flipped the letters over backwards to align them the way I wanted. 7. Turn the letters over and press each one down firmly to adhere to the mirror. You don't want paint leaking underneath! 8. Add your second (top) line of letters. I used a different font for this one to make it easier on myself. You'll notice a letter missing on the middle line because I only had one "u." I did the second "u" after I painted the first. 9. Squirt some paint onto a paper plate and grab a sponge dauber. 10. 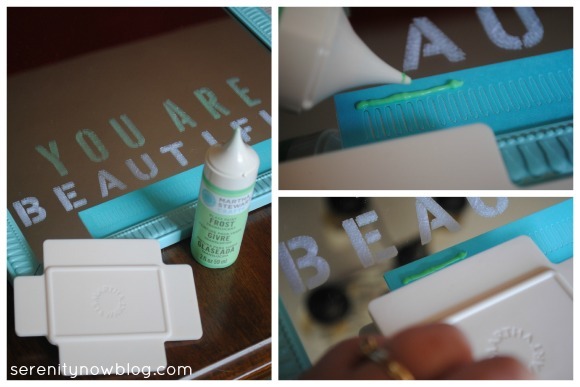 Using quick up and down motions, "daub" the paint onto your letter stencils. Less is more! If you use too much paint, you run the risk of leaking paint or splatters. I did one coat and then quickly did another while it was still wet. 11. Carefully peel the stencils up while the paint is still wet. 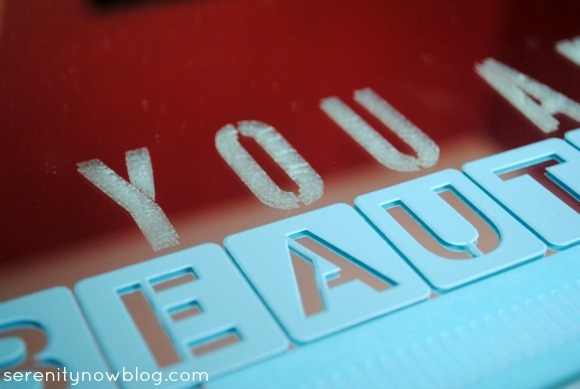 The silkscreens work a bit differently, but are just as easy to use! As pictured above, you apply a line of paint (so awesome that each paint comes with a precision tip!) just above the area to be painted. Then you use the squeegee to swipe the paint down into the grooves of the silkscreen. Tip: be sure you look to see that the paint makes it into all the crevices! All done with the stenciling...that was easy! 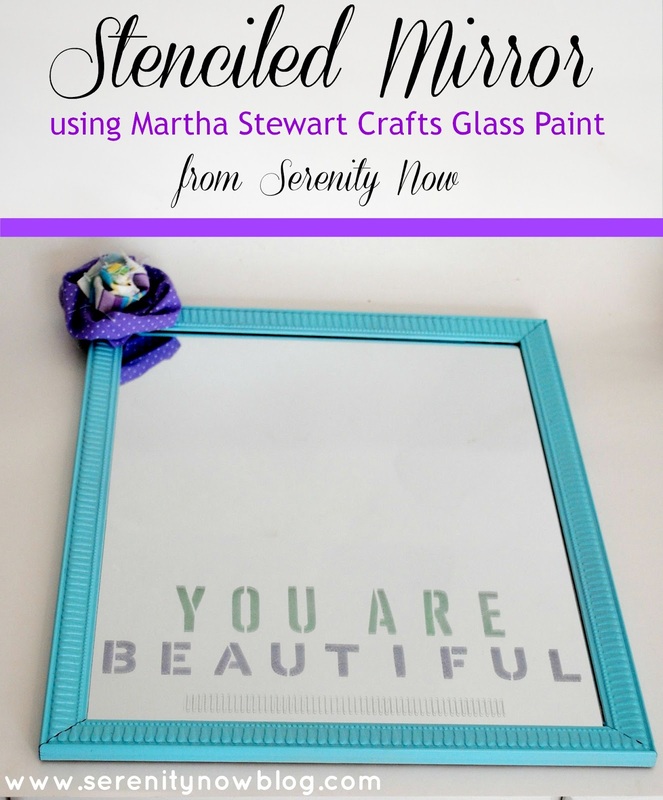 I'm pleased with how this project turned out, and it was a pleasure to get to try out the new Martha Stewart Crafts Glass Paint line. *I wrote this post as part of a paid campaign with Martha Stewart Glass Paints and Blueprint Social. The opinions in this post are my own. That's awesome! It looks really great! Thanks for sharing! LOVE it! 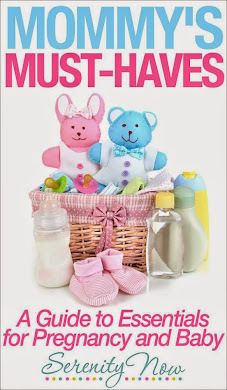 This is adorable and so perfect for a little girl's room! Great job! This turned out so well! I love it! And I love the message. I think all little girls should get this message before the world tries to tear them down and make them forget how beautiful they really are. Okay, that got heavy. Anyhoo, I just think this project is fantastic. Love the project, the color and the MESSAGE :) Perfect! Cute! And what a positive reminder for your girls. What a sweet project! 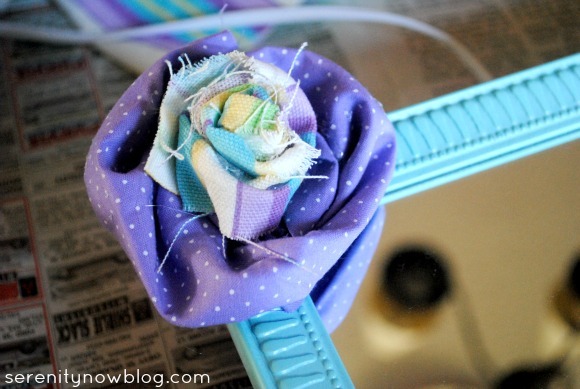 Love the color of the frame and rosette, too, Amanda. Cute! What a great idea and message for your daughters! Super cute! 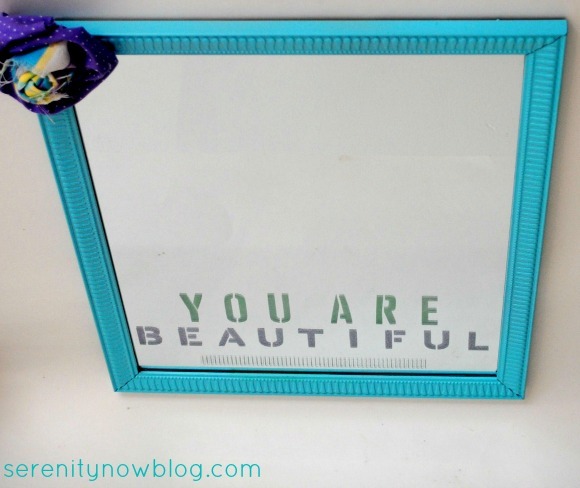 Love the paint color you used and the "You are beautiful.". Glad you are making some cute and usefull things with the supplies you received. wonderful work! i love how you upcycled and the turquoise color you painted it. but the best part is the sentiment! Such a cute project! And i love the phrase you used so your daughters can see it each day. Beautiful!! What a great project and so sweet that you gave it to your daughter. 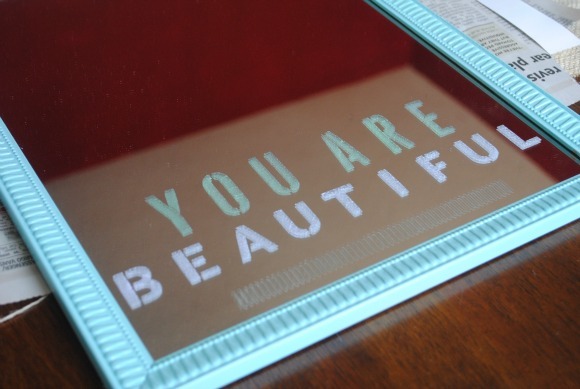 Amanda, I think the mirror looks great, and I love the messages it imparts to your girls! I know if was fun to create something like this for them! This turned out lovely!!! And such a good message for your sweet little girls! it turned out great, amanda! This is so pretty!! I want to try that stuff out! I love the message you put on it- it's so sweet and so important for little girls. I love this idea and even more so your reason behind it. 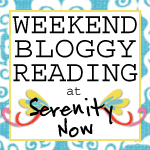 (Read that post too!) :)I have a 16 month old little girl and already thinking about these things and what I can do to build positive things around her. Thanks for the inspiration! I'm definitely going to be doing something like this in her room. So cute! Looks like your little girl loves it! Something every little girl needs to hear! 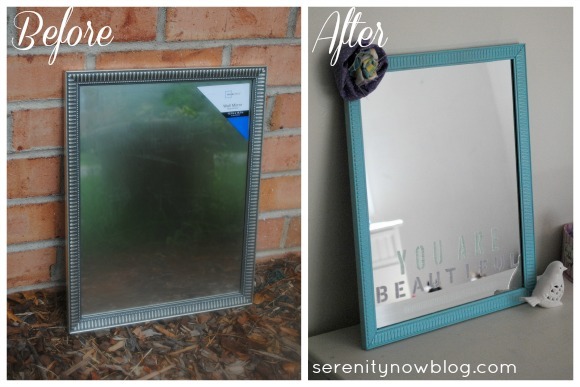 Love this mirror transformation! What a great upcycle & use of the paints & stencils!! 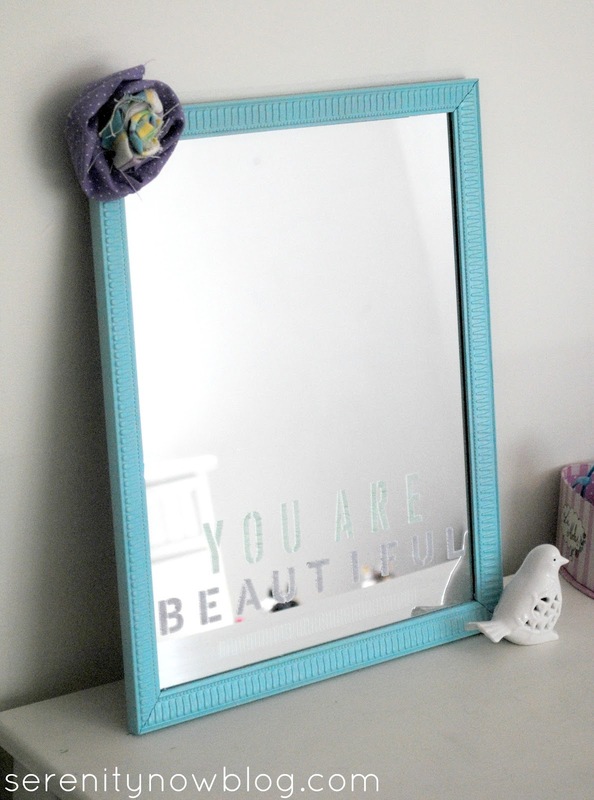 I also love the message behind the mirror since I have 2 little girls, too! This is so pretty and I love the message! I agree with what Johnnie said: this quote should be on all mirrors! 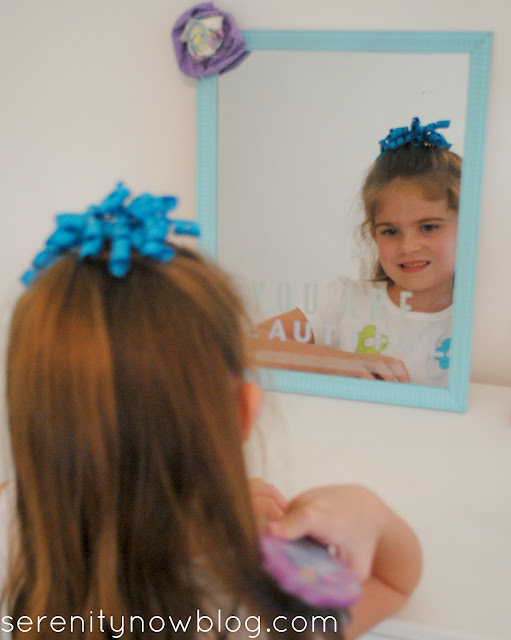 What a sweet mirror for your daughters!